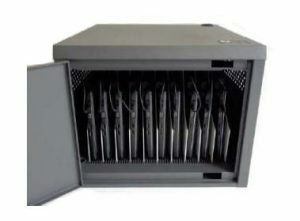 If you are deploying or managing notebook computers or MacBooks®, iPads or tablets. 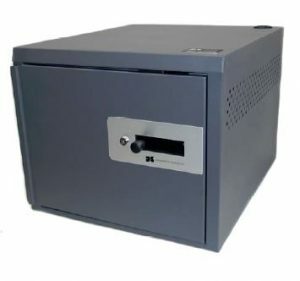 Datamation Systems has created storage strategies that provide safe, secure storage and charging. 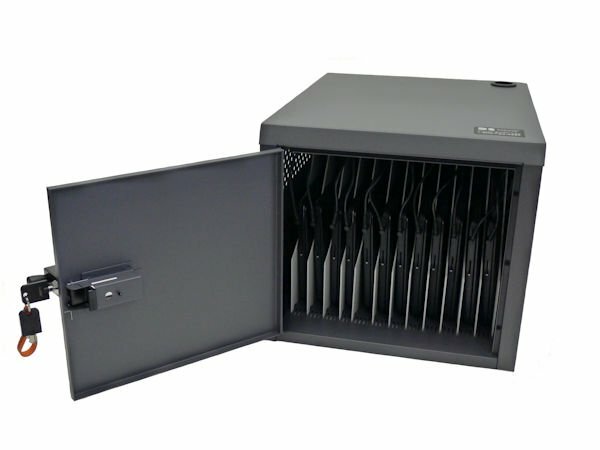 Our solutions are installed in thousands of healthcare, retail and commercial locations. 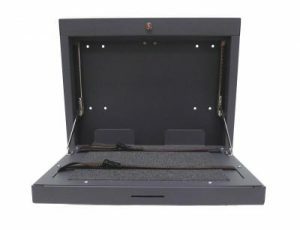 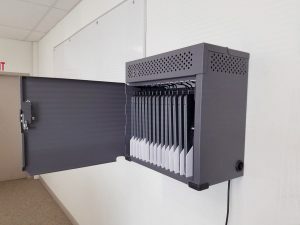 We also have the perfect tools for charging and protecting iPads and Android tablets used with Epic MyChart Bedside and similar program whether or not they maintained with tethered management applications. 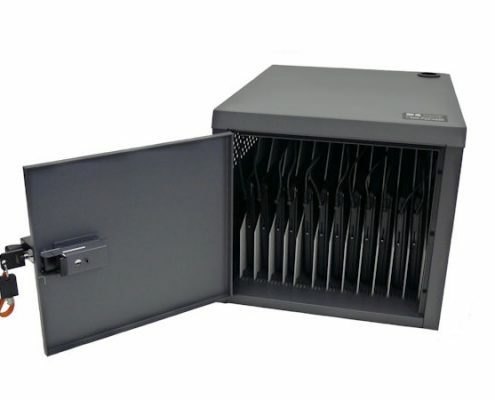 Secures and charges up to 12 notebooks, MacBooks or tablets.